Eye-popping paint hues aside, the stupendous naturally-aspirated 4.0-litre flat-six now develops a stonking 520hp (up 20hp on the previous model), the rev limit tickles the 9,000rpm mark and small-but-important aero touches have been added to the bodywork. 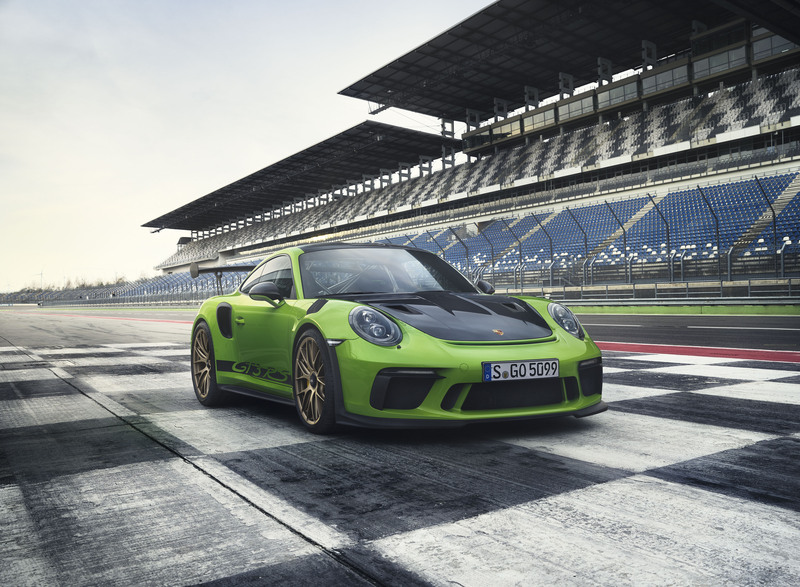 There’s a revised front bumper for the 2018 Porsche 911 GT3 RS and a tweaked rear spoiler to aid downforce, which was already just shy of the numbers produced by a GT3 Cup racecar, while there’s new rubber at the front and rear for increased adhesion. Still no option of a manual gearbox. 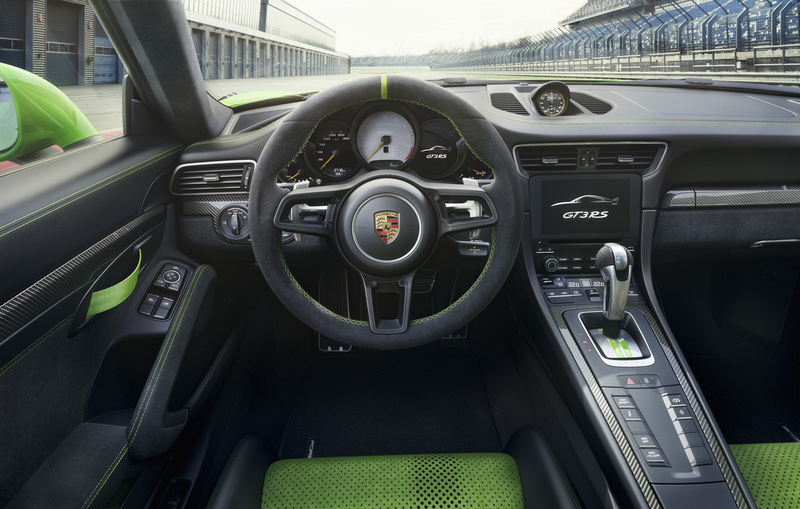 You’ll have to make do with the rapid-fire seven-speed PDK transmission. In keeping with a typical track-focussed programme, Porsche RS engineers have also thrown in myriad lightweight additional extras, such as lighter door panels with storage nets and door opening loops, reduced sound absorption materials and a new, lighter rear engine cover. Tech from Porsche’s motorsport division has also been carried over to the 2018 Porsche 911 GT3 RS, including (and to get very geeky for a second) solid ball joints on all suspension arms that provide more accurate control compared with conventional elasto-kinematic bearings. Yeah, exactly. 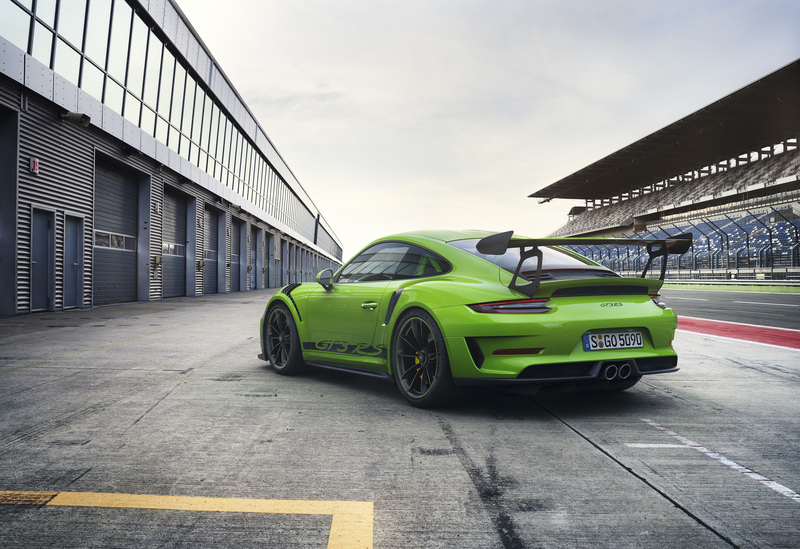 In keeping with tradition, 2018 Porsche 911 GT3 RS customers can also specify the Clubsport package at no extra cost. This sees interior scaffolding added, as well as a fire extinguisher, preparation for a battery disconnect switch and a six-point harness to ensure it’s ready to tackle the track straight out of the showroom. Seriously circuit-focussed nutters can also specify a Weissach Package that adds further carbon-fibre reinforced plastic (CFRP) components for the chassis, interior and exterior, as well as optional magnesium wheels. 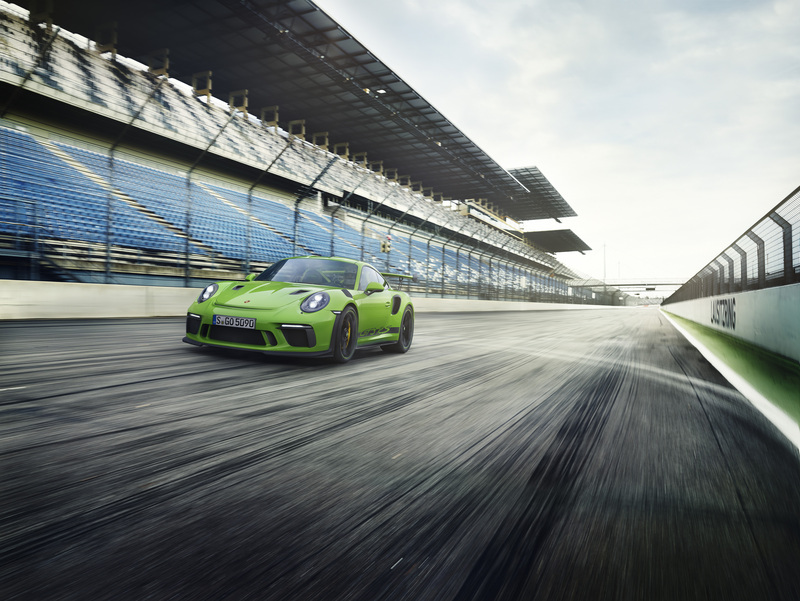 This featherweight package reduces the weight of the 2018 911 GT3 RS to a frankly ridiculous 1,430kg. First deliveries are expected in the summer and you’ll need a spare £141,346 if you fancy bagging one. Or you could wait for the all-new 911 to arrive later this year. We’d bet it’s going to be pretty good.